Meet the newest addition to our family, and my nephew, Charlie Squire. 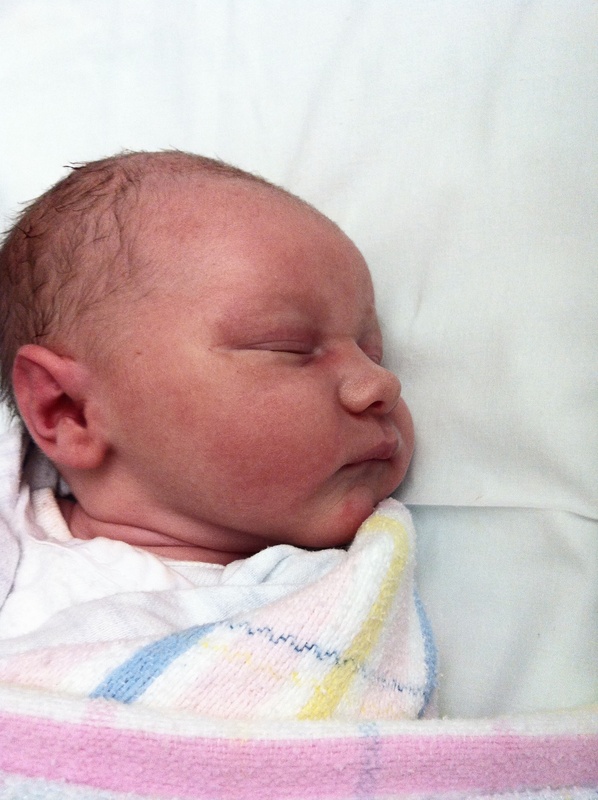 All well-cooked 4.6kgs of him born on Wednesday, April 17 at 5.17pm to my little brother and his champion wife, Anna. I’m finally an Aunty, a real Aunty! I’m still in awe looking at these pictures. I could sit with him, like this – totally enamoured, drinking in his intoxicating new-baby smell – for hours. But the universe saw all of this coming. 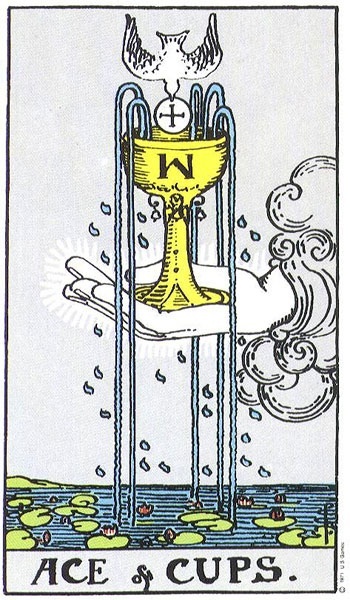 I had my tarot cards read at a hens night a few weeks ago and the second card that was turned over was the Ace of Cups; A seed of emotional awareness has been planted in your life although you may not yet recognise it. “You have a new love in your life”, Perianne, the tarot card reader said. “You haven’t met him yet, but already the love you have for him is over flowing, just like the cups. He will change your life”. She was talking about Charlie. And oh my goodness, over flowing and overwhelming was right. 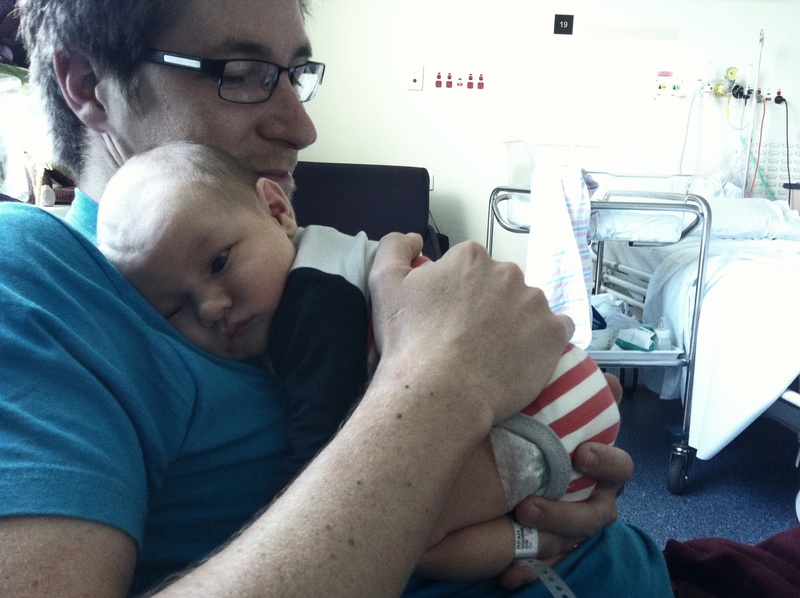 I’ve been beyond excited about his impending arrival but the emotional flood gates were opened as I made a mad dash to the hospital to meet him – just hours after he was born – before visiting hours ended. Of course I cried (but you know that of me by now), the happiest of tears. It’s what this is all about; it’s the point of being here on this earth and he’s half of my little brother – seeing them like this, how could I not? And that seed of emotional awareness – now I may get in to some trouble for saying – is realising that I’m not one of those career driven women who want a high-powered job and hugely successful career to come home to at the end of the day (sure that would be nice). And don’t get my wrong, job satisfaction and other creative outlets is paramount for us slightly-mad artistic types – but ultimately, my dream job is to be a mum. I really do look forward to making school lunches, baking slices for school fetes and elaborately fun birthday cakes. So being the best Aunty in the whole world is the next best thing right now. And I’m taking this new job very seriously because, little Charlie – you don’t even know I exist yet, but you are just the love of my life (so far). So in the spirit of life changing events, I thought I’d share with you this recipe for a Life-Changing Loaf of Bread. It can’t really compare to life creation but it has changed my life – ok slight exaggeration, I feel good eating it and it makes me happy – that’s good enough. I’ve never made proper bread and it’s one thing I’d really like to master one day – especially my favourite, sourdough. But this recipe is beyond easy – there’s no needing, no rising and not even a bowl. 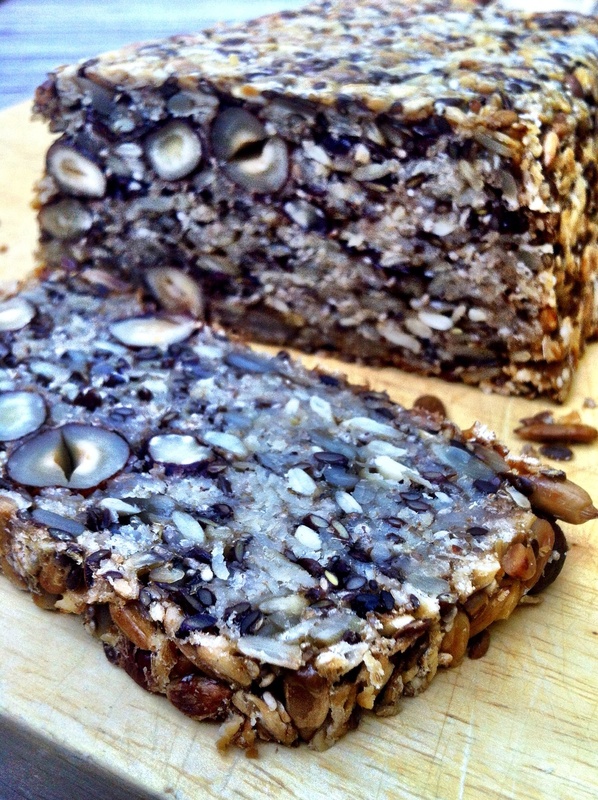 Every slice looks so pretty speckled with yummy grains, seeds and nuts. It’s high in protein and fibre, gluten-free and vegan friendly. Check out the original here for all the other health benefits. I made this loaf on the weekend – I make one every couple of weeks and keep slices of it in the freezer. I eat it toasted with a drizzle of olive oil for a cheats dinner or with soup or baked beans or eggs. The flavour and texture really make it a meal in itself. So go and have babies or make bread – it’ll make you feel good and happy and maybe just change your life. – Store bread in a tightly sealed container for up to five days. Freezes well too – slice before freezing for quick and easy toast! 23 Apr	This entry was published on April 23, 2013 at 2:28 pm. 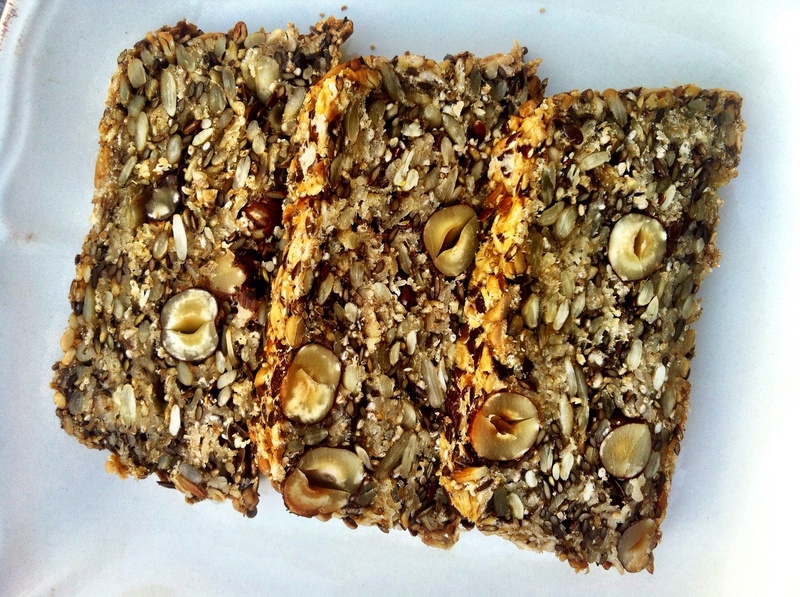 It’s filed under Delicious and healthy!, Lucy's plate, Recipes, Uncategorized and tagged Bread, Gluten free, My New Roots, Nuts, Seeds, vegan. Bookmark the permalink. Follow any comments here with the RSS feed for this post. What a beautiful post, enjoy your nephew!